On behalf of Archbishop Tutu’s office we confirm that Archbishop Tutu addressed a letter, dated 25 February 2013, to H.E. Mr Thongsing Thammavong, Prime Minister of Laos, and H.E. Mr. Choummaly Sayasone, Secretary General of the Lao People’s Revolutionary Party and President of the Lao PDR. The Archbishop’s office has received no acknowledgement of receipt of the letter. 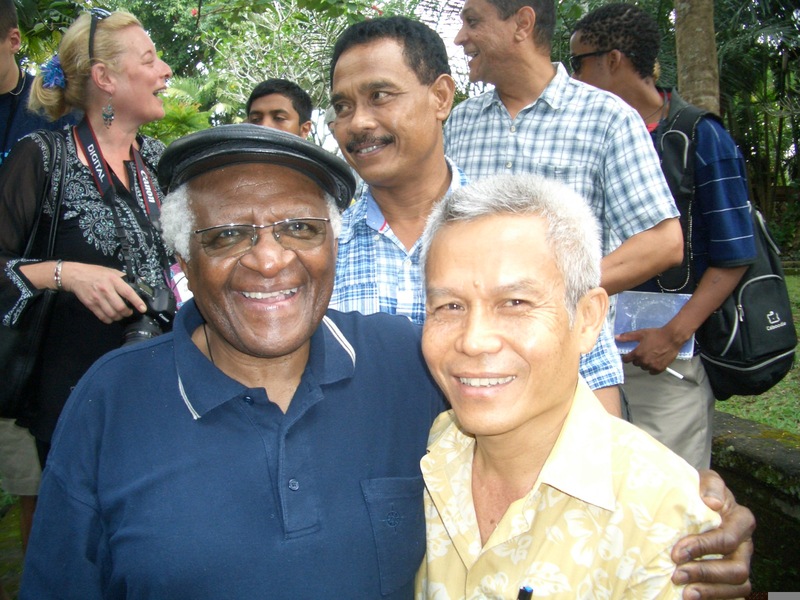 The letter regarded the “disappearance” of human rights campaigner Mr Sombath Somphone, in Laos. The Archbishop wrote that Mr Somphone’s commitment to poverty alleviation and sustainable development at home and in the region had been nothing short of inspirational. He had worked extensively with Buddhist monks and elders to set up youth meditation camps and this care for the spiritual core of the Laotian people had touched many in the region and beyond. The Archbishop wrote that Mr Somphone’s participation and ability to speak freely at the Asia-Europe People’s Forum (AEPF) in Vientiane, last November, marked an enriching moment for free speech in Laos and allowed an inclusive conversation to take place between all levels of Laotian society. “It is a tragedy that someone with such a deep love for his people could disappear,” the Archbishop wrote. “I am alarmed to note that in the more than two months since Sombath’s disappearance the police investigation has failed to reveal his whereabouts, despite the existence of closed circuit television footage purporting to show his last known sighting, being led from a police post by two policemen on the 15 December 2013. “I urge the Government of Laos to initiate a further investigation urgently. I am confident that if the government and security agencies renew their efforts and work together on this matter then Sombath can be found and returned safely to his family. Such an earnest effort would undoubtedly shine a positive global spotlight on the peace loving people of Laos and its leaders.